Torsten Gerald Matten aka Torty is an Underground Artist from Frankfurt am Main. He has been working for 15 years with Music and Art Projects in collaboration with various Artists around the world. So it was 2009 on a music CD production a Remix Project of the German Dark Rock Band "Seven Seals". Torty vs. Seven Seals - This One (B12 Records Germany), now available for download worldwide. For the "Electronic Dance Theatre" followed in 2010, a High-Energy Remix of "Popped" on Zentimental Records. Through his artistic productions which can be difficult to classify in a music category in 2011 he joined Planet Bass Records and also released several productions alongside Artists such as Techno Legend DJ Dag. 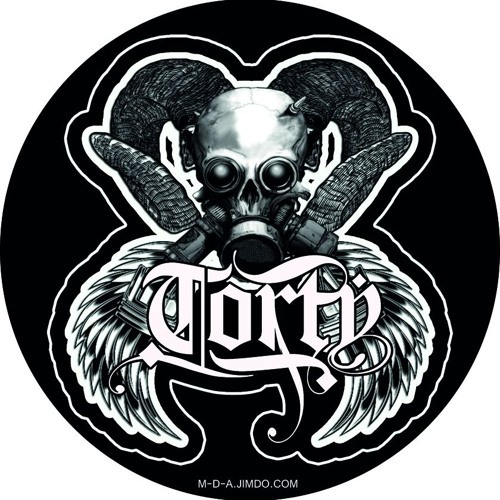 2013 and 2014 produced Torty some EPs and published them together with Syndikick Records in England, which since the count, the most popular productions of the label on Beatport. Through its international network, now fully up to date Torty produced a Remix for a start-up label in Japan, published by Onnes Project Records as "Thank You" Compilation CD and is available worldwide through Amazon in the Future. Influenced by the Sci-Fi and Horror Movies of the 80s and 90s was Torty to abstract and surreal Art. In addition to the works of H.R. Giger was Torty particularly influenced by the Xenomorph (Alien) and you can see allusions to the Giger Universe in his work. Dark Surrealism is here made in the form of 3-Dimensional Relief work made of different Materials and marketed under "Matten Art Dimension". In addition to the surreal and abstract images, and Horror Themes, Torty created the "Future Archelogy" (Future Archaeology) designed and Relief Work in the form of "fossil-like" Artifact, as they will discover the following Generations in the Future.